UPDATE:The WPF Spectrum Analyzer is now part of the WPF Sound Visualization Library. That is where you will find source code for the latest and most-stable versions of the Spectrum Analyzer. It was a UserControl, which means that didn’t support custom templates/themes. These two inadequacies severely crippled much of what makes WPF so great. Supporting Scaling – Go Go Gadget Vectors! My first pass at the Spectrum Analyzer was based on a very bad assumption. I assumed, foolishly, that a classic pixel-based rendering loop where I manually controlled the buffers would offer me performance benefits and control that I would not be able to achieve if I used vector-based rendering techniques. When I say “vector-based” I mean rendering Shapes on a Canvas. “Pixel-based” refers to me using a DrawingContext to draw shapes in a fashion similar to how things were done in the ol’ GDI+ days. I’ve left my old post in tact if you want to see how the pixel-based technique was done. Assumption aside, using pixel-based rendering has some consequences when a ScaleTransform gets applied to my control. 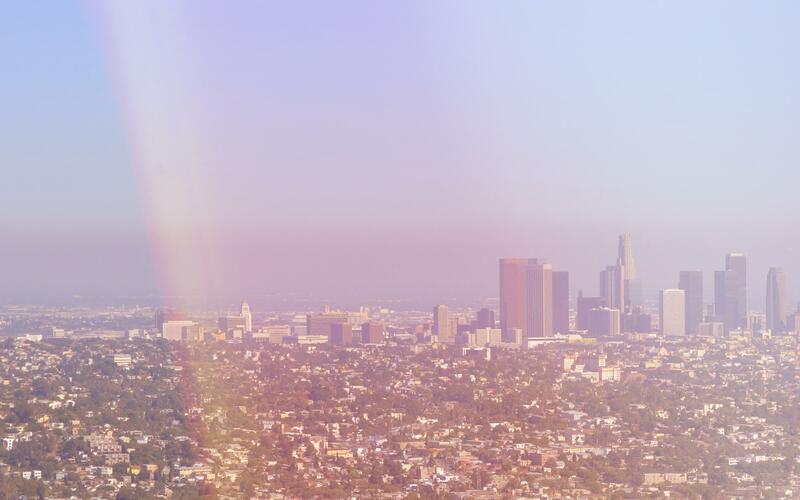 Basically, things get blurry. It’s the same as resizing an image in Photoshop (that is, in the real world, where we don’t have CSI-like “enhance” commands). Since I’m a big proponent of using ScaleTransforms to “zoom” in on a Window’s content as the Window resizes, I felt like this inadequacy in my control was eating away at my soul. Spectrum Analyzer - Now With Vector Scaling Support! This brings us to crafting the control as an ACTUAL Control rather than a UserControl. Really, the only component I require is a Canvas on which I can draw all these Rectangles. I’ve set up my Control using the conventional “PART_” naming convention (see TemplatePartAttribute). To actually get the bars or falling peaks to draw, an application author will also need to define the BarStyle and/or PeakStyle dependency properties on the control. Without these, they’ll still technically “draw,” but they’ll have no brush and be invisible. Here’s an example of a style and template for the SpectrumAnalyzer control. /// The maximum display frequency (right side) for the spectrum analyzer. // IMPORTANT: To maintain parity between setting a property in XAML and procedural code, do not touch the getter and setter inside this dependency property! /// The minimum display frequency (left side) for the spectrum analyzer. /// The number of bars to show on the sprectrum analyzer. /// The spacing, in pixels, between the bars. /// refresh rate of the chart. /// on a logrithmic scale, with each bar having a larger bandwidth than the one previous. /// If true, the bar height will be displayed linearly with the intensity value. /// Otherwise, the bars will be scaled with a square root function. /// bar's peak. This creates a smoothing effect on the bars. /// A style with which to draw the bars on the spectrum analyzer. /// A style with which to draw the falling peaks on the spectrum analyzer. /// The actual width that the bars will be drawn at. /// The different ways that the bar height can be scaled by the spectrum analyzer. /// is scaled from -90 to 0 dB. /// A non-linear squareroot scale. Formula: Sqrt(FFTValue) * 2 * BarHeight. /// A linear scale. Formula: 9 * FFTValue * BarHeight. /// The styles that the spectrum analyzer can draw the bars. /// can get the necessary playback data. // If we're paused, keep drawing, but set the current height to 0 so the peaks fall. // If this is the last FFT bucket in the bar's group, draw the bar. // Peaks can't surpass the height of the control. So, where does this leave us? A peak at the Task Manager delivers a pretty telling tale. On my system, the control continues to use very little processor power. What’s even better, however, is you’ll see far less churning of the memory usage. It seems that when you let WPF handle the rendering, it gets to have better control of what sort of buffers get created and how quickly they’re cleared from memory. When we did it manually with our RenderTargetBitmap, we were at the mercy of the garbage collector. I think there are still a number of controls where one will need to fall back on to pixel based rendering (e.g., a spectrogram), but this one lent itself well to being drawn with vectors. That said, I think the current iteration of this Control is far closer to how one should design their controls for other people to use. People incorporating this into their own applications should find it much more flexible in style, as well as much more performant. A few years back, we were demonstrating a WinForms application we’d just spent a few years developing to the Vice President of the R&D department. Things were starting to come together and look really nice. Many tough battles were fought to develop custom real-time controls and get everything laid out properly. Months, to years, of effort went into choosing colors and gradients that were easy on the eyes. Hell, we’d even gone out of our way to get in decent support for higher, non-default DPI settings. All-in-all, we were pretty proud of the UX for this application. So, the VP was sitting there, toying around with the application. Then he maximizes the window. The application does exactly what it is supposed to. It fills up all 26 inches of his fancy high-resolution monitor. Everything is docked properly, so the main datagrid on the form expands both vertically and horizontally. The Ribbon Bar at the top of the application keeps its height and the navigation pane on the side keeps its width. Everything seems to be going well. The VP then asks a fairly innocuous question that really drives home why WinForms is obsolete on modern displays. He asks something along the lines of “why is it that when I maximize this window, things don’t get bigger?” We’re a little confused and reply, “Things did get bigger. As you can see, the data grid grew.” He retorts “No, no. There is more data on the screen, but all of the fonts and everything stay the same size. It’d be nice if things got *bigger* so they were easier to read on these really high-resolution monitors.” Now, if any of you have ever attempted to deal with this sort of request in WinForms, you’ll understand exactly why this is VERY hard to achieve. 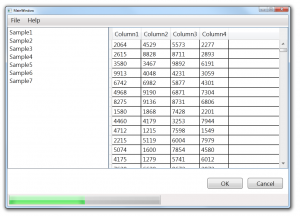 WinForms is pixel-based and very much resolution-dependent. 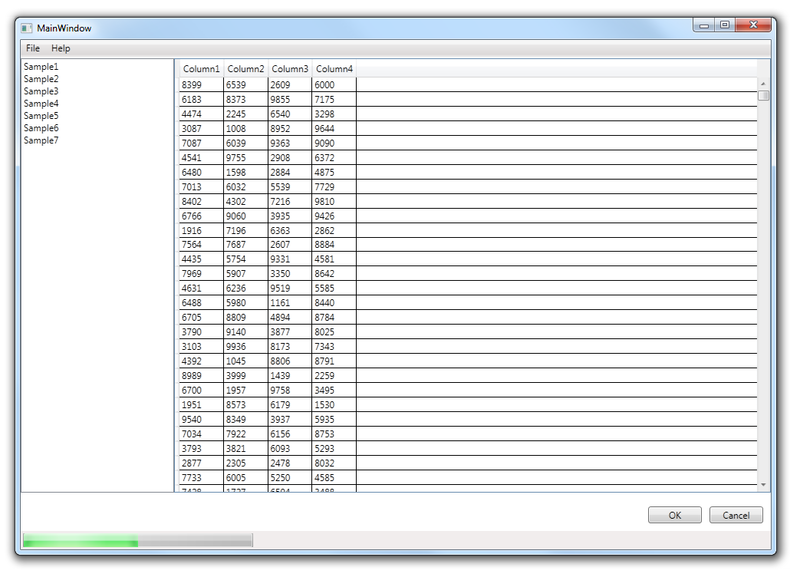 Fulfilling the request to have things zoom/scale in WinForms falls somewhere just short of impossible. It would certainly take a massive amount of infrastructure coding to do this with much success, and forget about using a third-party control library (or even the standard set of controls). Luckily, our VP wasn’t the only person in the world to have this request. Microsoft noted this issue and seems to have built WPF around this very problem. However, it intrigues me that more people have not seemed to clue in on this new way of scaling their application’s Window. I’ve seen it out there, but only in about of a quarter of the WPF applications I’ve tried. I think either people aren’t aware of this new method or don’t know of a nice, robust way to implement it so that simply resizing the Window causes your UI elements to scale-up. At the heart of this scaling solution, there are two concepts at work. 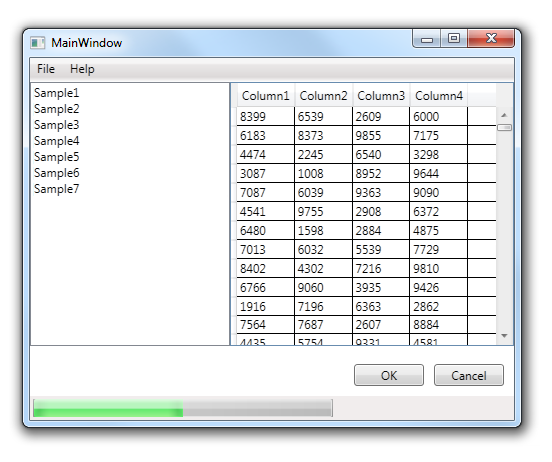 First, there is a LayoutTransform that will be applied at very root-most content element of your Window. Secondly, there will be some resize-detection logic in the Window to determine what sort of scaling needs to happen. 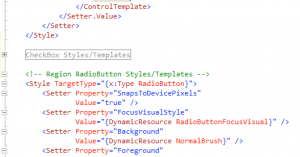 First, we’ll start with the XAML where we define the LayoutTransform. Give your main grid a name (or whatever your root element is: border, etc.). Also hook up its SizeChanged event. We’ll come back to that. It’ll be important to also define a minimum width and height for the form, as scaling it too small will make it impossible to read. In the LayoutTransform, define a ScaleTransform. This ScaleTransform will have the ScaleX and ScaleY value uniformly bound to the certain ScaleValue. The ScaleValue will be essentially the percentage of zoom we’ll employ. If that value is 1.2, you can expect your controls to be zoomed in at 120%. To phrase it another way, we’re attempting to zoom-to-fill all of our contents before attempting to refactor our layout using the docking configuration. That’s all there is to it! Beyond increasing the size of your Window, it works surprisingly well when decreasing the window size too, down to a certain level anyway. I find this solution to be robust enough to handle most cases my application, but be sure to read over the next section to understand some caveats. Controls that use the new CacheMode property. Controls that use DrawingVisuals, RenderTargetBitmap or WriteableBitmap, and DrawingContext to draw. 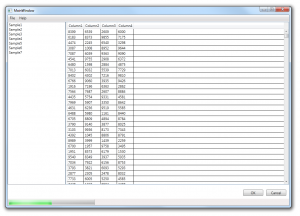 Use of WinForms components in your WPF application. CacheMode: To deal with CacheMode when scaling, you can try using the RenderAtScale property. I do this semi-automatically on my custom controls by including a mechanism to automatically detect what ScaleTransform has been applied to the control. Then, I make the RenderAtScale property the same. I include a “UseAutoScaling” property to allow the control’s user to decide whether or not they want to have this behavior happen in their Application. // was a uniform scale transform. Is there some better way? RenderTargetBitmap or WriteableBitmap: I have found no great solution for this. If the control is being drawn using these techniques, the only option is to alter the code such that it renders at a higher scale or change it dramatically to use vector-based drawing. Be aware that even if the control is tricked into drawing at a higher resolution, if it is being rendered to an Image, it will still appear blurry. 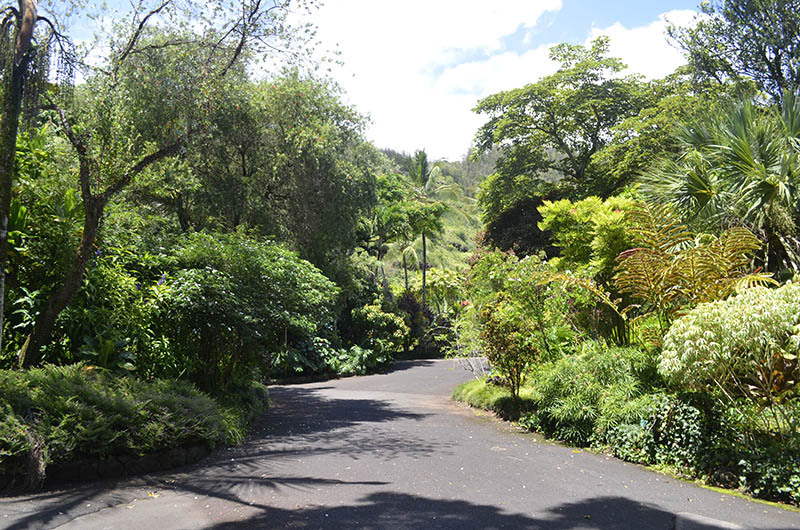 The scale of the Image will also have to dealt with. 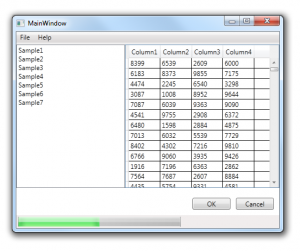 WinForms Controls: Stop using WinForms controls! No seriously, you’re killing your application’s memory usage and performance by dropping these into your WPF application. 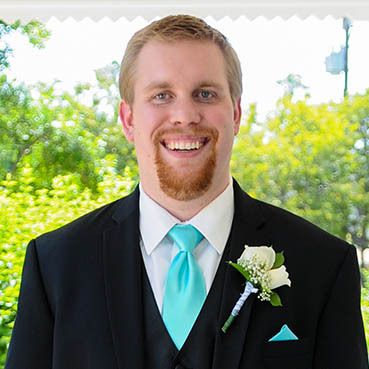 I hope this gives you all a starting point to making your WPF application scale. It’d be really nice if more applications featured this ability, even if as a user-preference. If you’re like me, dealing with giant XAML files is problematic. I don’t seem to possess the mental stack that some XAMLers have that allows them to deal with pages upon pages of disorganized XAML code. I frequently run into this dilemma when I deal with WPF themes. They’re usually colors, brushes, styles and templates for every single WPF control in existence all crammed into one file. I have to rely on text searches for terms like “Button” to find what I’m looking for. I found myself pleading to the markup language gods for the regioning system I had grown so accustomed to in C#. My prayers combined with my Internet searches lacked the fecundity to bare any useful results, so I was on my own. Luckily, Visual Studio 2010 has a pretty easy-to-use Extension Framework. As such, I whipped up a plugin that allows XAML regions. Like most things of this nature, I see no pressing reason to hoard it all to myself. 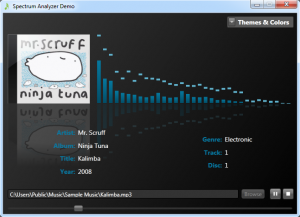 UPDATE:The WPF Spectrum Analyzer is now part of the WPF Sound Visualization Library. That is where you will find source code for the latest and most-stable versions of the Spectrum Analyzer. Also, this post has been updated and superseded by this one. I’m leaving this one here for historical purposes, but check out the other article for a more performant and scalable version the control. 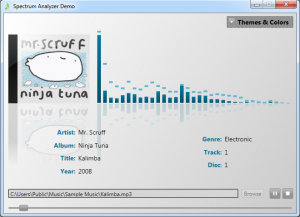 A coworker and I were recently talking about doing audio visualization with Windows Presentation Foundation (WPF). One of the more common visualization techniques for music applications is to slap in a simple banded spectrum analyzer. I thought such spectrum analyzers would be easy to find, as they’re included in many applications written in toward all sorts of platforms. 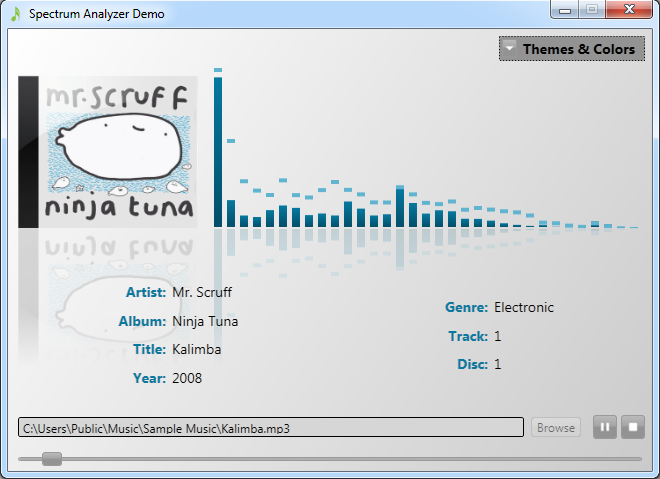 A bit surprisingly, however, was that such visualizations in WPF aren’t as common as I would have expected. I thought I could use the rarity of such controls as an opportunity to play around with some fast rendering techniques in WPF. I was fairly pleased with the outcome, so I thought I would share the results. My “sound suite” of choice is the BASS API. BASS is loaded with features. 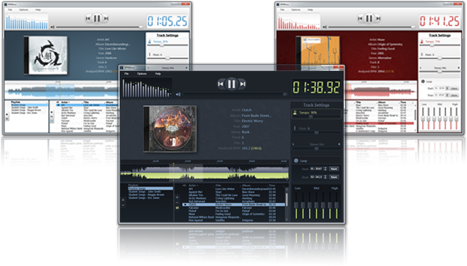 Along with getting sound set up to play, it also has the ability to read all sorts of file formats, do effects processing, record sound, and more. However, BASS is unmanaged. To interface BASS with .NET, one will need the aptly named BASS.NET. At a passing glance, one may see BASS.NET as a thin .NET wrapper over the BASS API. However, it actually has some very useful additions. 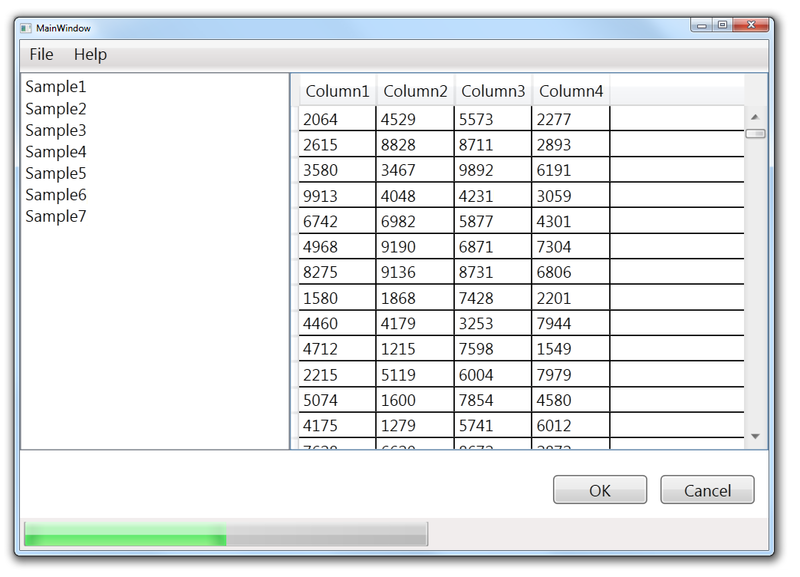 Benefits include tag reading support, useful methods for parsing FFT data, and even some visualizers included (but they are targeted to WinForms/GDI+). 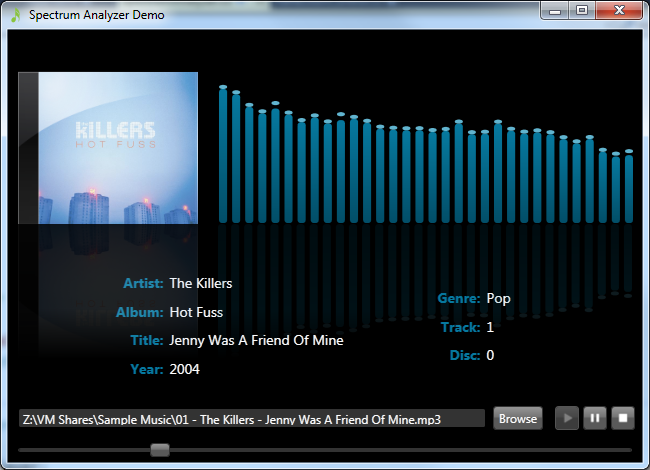 It was actually the source code for these visualizers that I used as a starting point for this WPF control. BASS.NET’s author, Bernd Niedergesaess (a.k.a radio42), was kind enough to let me share this source code with you today even though he really did all of the heavy-lifting/pioneering for this project during his development of BASS.NET. Now, I’m not new to writing Spectrum Analyzers. Previous software engineering jobs had me writing controls for Windows-based Spectrum Analyzers in the past. However, these weren’t for audio visualization, but were more for scientific measurements of radio and microwave signals. One of the things I noticed about audio visualizations is that a lot of accuracy is ignored in favor of making the visualizer look and feel in line with what we perceive. I won’t go into great amounts of detail on this, but when you see funky methods being applied to FFT results in the source code, this is probably what is going on. One of the most common examples of this is that FFT data is never displayed on the Y-axis linearly, but rather using a square root function and a scaling factor. Without this, you see most of the visualizer moving very little, except for the occasional large burst of energy. This is NOT how your ears/brain perceive the sound you’re listening to. It all looks pretty straightforward. Besides the attributes I’ve shown on the control here, I also have included dependency properties to set brushes for the bars and their peaks, as well as a dependency property for the linearity of displayed channel data. Here’s the XAML for the Spectrum Analyzer control itself. Shockingly simple, no? That’s because the meat of this control is in the code-behind. I’ve chosen to do a more classic pixel-based rendering technique for this UserControl. This is good and bad, but not the norm for WPF development. It’s good because it gives me a bit more control in terms of performance. It’s bad in that WPF is meant to be scaled freely, and now it is my responsibility to make that work well. Now, here’s where the real work happens. /// The brush used to paint the bars on the spectrum analyzer. /// The brush used to paint the peaks on the spectrum analyzer. /// in a linear scale. Otherwise, the scale will be logrithmic. // Draw background if applicable. The UpdateSpectrum() method is handling the writing of our bar drawing to the buffer. Using a DrawingVisual and DrawingContext directly gives me great performance. I currently have the timer on this Spectrum Analyzer to draw every 25 ms (which translates to about 40 FPS). Even at this speed, I find the application barely registering 1% CPU, and that’s in the confines of a virtual machine. The actual method I’m using to draw FFT data is inside of RenderSpectrumLines(). You’ll note that we take the peak value in the frequency range of a bar and display that. This is all pretty standard fare for this sort of spectrum analyzer. I encourage you to read up on Fast Fourier Transforms and Audio Processing if this interests you. That’s pretty much it! As you can see, I dropped the control in a Window, added some basic playback controls, tag reading, and fancy WPF reflection to give it a nice look. I encourage you to download the source code if you’re interested in including something like this in your own WPF application. If you have questions, see room for improvement, or have useful information I left out, please leave me a comment!